For our extra-special show lineup, click "Read more..." below! It's time for music, Blacksburg listeners! 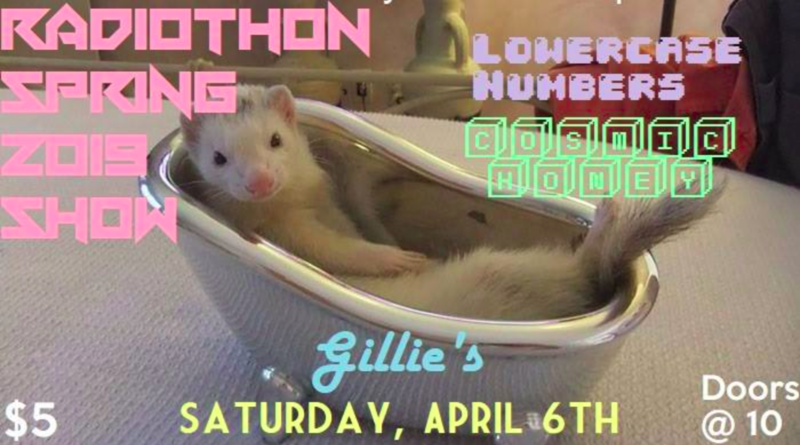 Our Spring Radiothon show is tonight at Gillies! Local acts Lowercase Numbers and Cosmic Honey will be putting on their best, so come by and soak up the tunes. Festivities start at 10pm and the cover is $5 at the door. See you soon! 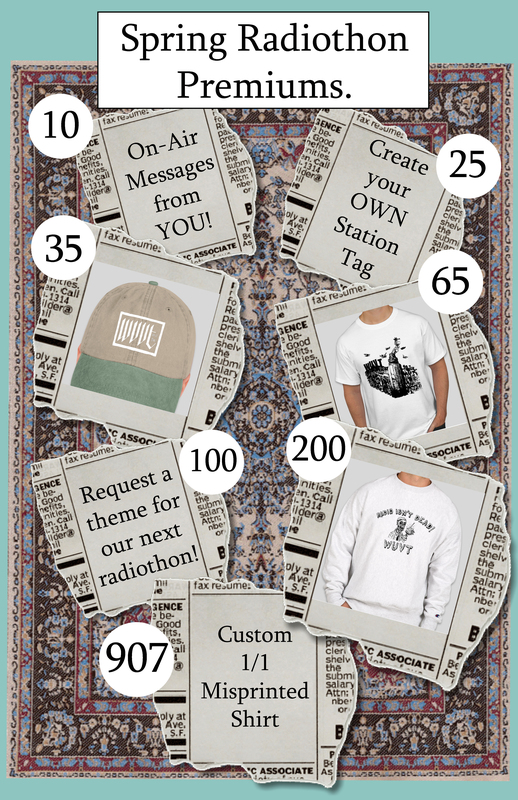 The Spring 2019 Radiothon Program Guide is out! Click the link below! Hello friends! Radiothon is just around the corner! We have a wonderful selection of premiums that you can get by donating to WUVT this year, so look them over and see what looks interesting! For more info about these premiums, visit wuvt.vt.edu/premiums. Happy Radiothon! UPDATE: Our March 2nd show at XYZ art gallery as an all new lineup! It's true! 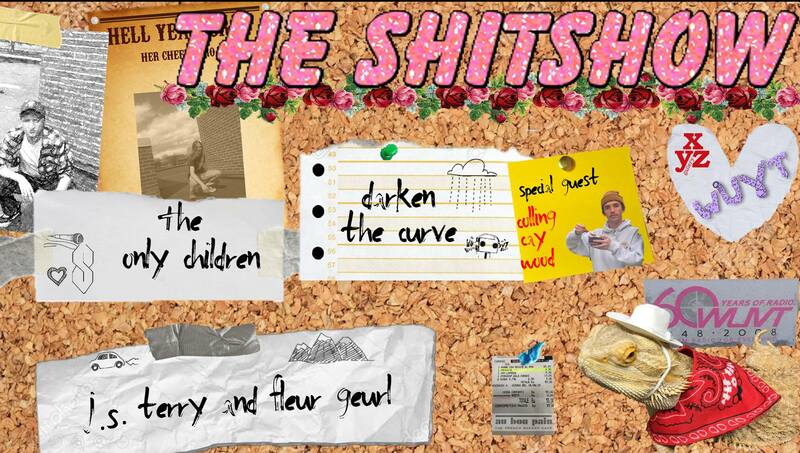 Come out and see The Only Children, Darken The Curve, and J.S. Terry and Fleur Geurl plus special guest Calling Caywood as they play their hearts out for Blacksburg! The time and location are the same, March 2nd @ 8pm at XYZ Art Gallery, and the cost is still 5 bones.